Bolechowski Construction LLC has been providing reliable, quality roofing in Minneapolis, MN since 2008. When it comes to a successful roof installation in Minneapolis, our skilled Minneapolis roofers do the job right, maintaining our commitment to high standards and customer satisfaction. We at Bolechowski Construction LLC have the Minneapolis roofing expertise and dependability that you are looking for. We offer the professional and surprisingly affordable residential and commercial roofing Minneapolis MN residents demand. Give us a call today to see how we can help with your Minneapolis roofing project! 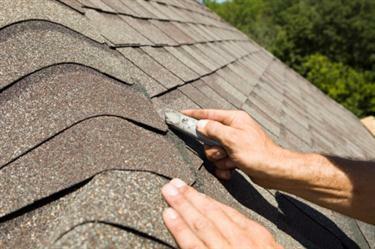 There are many types of roofing materials available on the market: Shingles, tile, metal, wood, asphalt, modified bitumen, and slate to name a few. Bolechowski Construction LLC has a proven track record delivering superior roofs using all of these roofing materials. Let our experienced Minneapolis roofers help you determine the right solution for your roofing needs and desires. If you need roof repairs in Minneapolis, don’t hesitate to call Bolechowski Construction LLC! Whether you have a leaking roof, curling or missing shingles or cracking tiles, Bolechowski Construction LLC can assist you with those roof problems as well. We are the trusted resource for repairing roofs in Minneapolis. You can be assured that your Minneapolis roofing repairs will be done quickly and correctly with Bolechowski Construction LLC. Since 2008, Bolechowski Construction LLC has provided residents with superior roofing in Minneapolis MN. Let us help extend the life of your Minneapolis roof! You can trust that Bolechowski Construction LLC’s roofers in Minneapolis are as courteous as they are professional. Contact Bolechowski Construction LLC regarding your roofing project in Minneapolis, Minnesota. Our Minneapolis roofers will be happy to provide you with a competitive roofing quote and stand by the outstanding roofing service that our Minneapolis roofing contractors deliver.